In the school I work at in Mwanza,Tanzania, I teach number of girls who regularly have their hands painted with henna (mehndi) – whether it is for a religious festival, a wedding or just a public holiday, the girls will come in with their arms covered in these beautiful intricate patterns. The art of henna has been practised for over 5000 years in Pakistan, India, Africa and the Middle East and designs are influenced by floral and vine patterns, lace and paisley designs or geometric shapes. 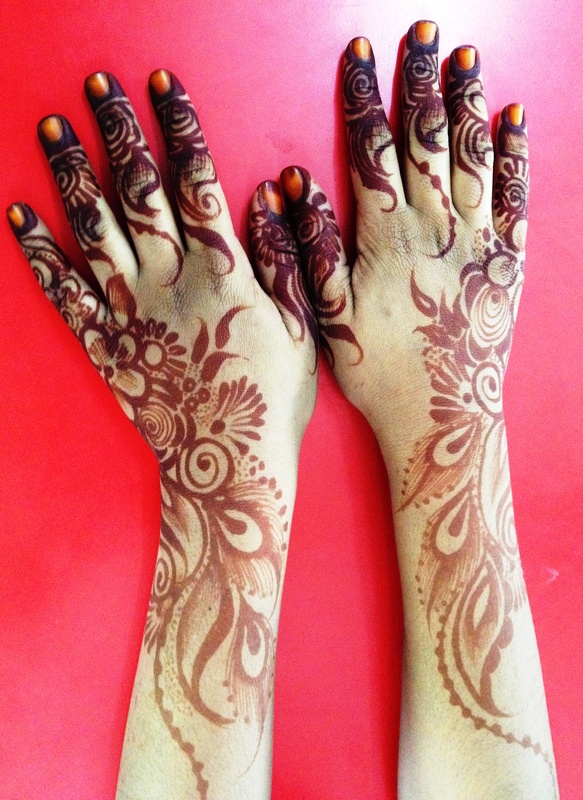 This photograph was taken of Nassra, one of my year 6 students, who had had her hands decorated to celebrate Eid Al Fitr. Thank you… I love seeing the students with their painted hands, and couldn’t a photograph. Very cool – excellent choice for the challenge. Stunning! Perfect for the challenge too.